icon-styling: The chinese luxury market is actually the embodiment of social injustice and corruption. The chinese luxury market is actually the embodiment of social injustice and corruption. China is still a poor country from its average income. However, its luxury consumption has become number two in the world! This is just an indication of the polarization in the distribution of income. The wealth is in the hand of a small portion of the population …. In China, the luxury market is a special industry. It is actually the embodiment of social injustice and corruption. China’s GDP ranks 105th in the world and according to its Ministry of Commerce, 150 million Chinese earn less that US$1 per day, the United Nations standard for poverty. Yet, China is the second largest market for luxury goods in the world. 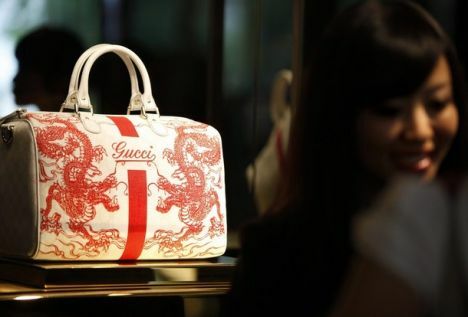 While the luxury markets in Europe, North America, and Japan are shrinking in the global economic downturn, China’s consumption of luxury goods is on the rise, amounting to $10.7 billion or 25 percent of the global luxury market. Wang Ning, a professor of sociology at Sun Yat-Sen University in Guangdong Province told Sound of Hope Radio that he sees China’s luxury consumption as part of a black market, because the sources of the income used for such purchases are not transparent and do not come from legal sources. “China is still a poor country from its average income. However, its luxury consumption has become number two in the world!” he said. “This is just an indication of the polarization in the distribution of income. The wealth is in the hand of a small portion of the population. They have too much money, and then they buy luxury goods. “In China, the luxury market is a special industry. It is actually the embodiment of social injustice and corruption,” the professor said. Associate professor Jiang Caifen at Guangzhou University School of Economics conducted an in-depth study of luxury consumers to see who was buying luxury goods. “According to my observations, there are three types of luxury consumers: those who became super rich super fast, social elites including those white-collar workers at foreign owned enterprises, and the government officials,” he said. “Luxury goods have become indicators for social problems. The source of the problem is not the luxury goods, but the society itself,” wrote Zhou Ting, director of Luxury Goods Research Center at the University of International Business and Economy, in an article titled “Luxury Syndrome” in a recent edition of China Weekly. “In China, there are too many people who are second-generation nouveau riche, too many people whose parents became rich through political power, too many people like Guo Meimei [a 20-year-old who flaunted wealth that may have come from corruption in China’s Red Cross], too many people who became rich overnight through unregulated coal mining and oil drilling. 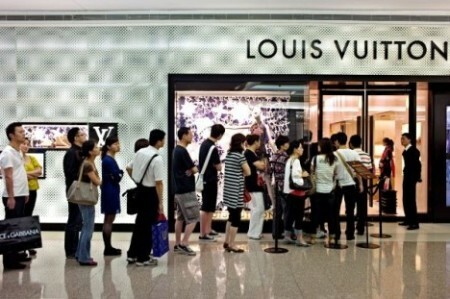 All these people are eager to use luxury goods to prove their identity,” wrote Zhou. A report from McKinsey & Company, a global management and consulting firm, said 50 percent of luxury goods purchased in China in 2009 were gifts. “The popular gifts in the business world are Vacheron-Constantin watches, Louis Vuitton handbags, Ermenegildo Zegna ties, and such,” said professor Jiang in the interview with Guangzhou Daily. “In the Chinese power cycle, one’s authority is evaluated by the gifts one receives,” the sociologist Wang told Guangzhou Daily. “Louis Vuitton is the most recognizable luxury brand in China and thus becomes the symbol of authority.” In China, if one wants to climb the corporate ladder, one must kowtow to one’s supervisor. If one wants to do business, one must have support from state officials. Businesses bribing state officials and businesses conspiring with officials have become very common.